Are Vadim Shipachyov and Nikita Gusev truly unstoppable? When will Danis Zaripov resume his prolific scoring? How will Magnitogorsk start the fourth game? These and other intriguing questions are tackled here in the khl.ru preview to Game 4 of the Gagarin Cup final. Game 3 of this series turned out to be the toughest of all, for both teams. Regulation time ended with the teams tied at 1-1, after an accurate finish from Magnitka’s Denis Kazionov had canceled out SKA D-man Andrei Zubarev’s spectacular strike from the red line. The fans had to wait a long time for the all-important winning goal, but eventually, a smart shot from forward Evgeny Dadonov midway through the second overtime period gave the Petersburg men a 2-1 victory over Magnitogorsk and a 2-1 lead in the series. Will Magnitogorsk threaten in the first period? Will Zaripov return to form? Magnitogorsk forward Danis Zaripov has already racked up 15 goals in the current Gagarin Cup playoffs, but the last time he found the net was in the third match of the Eastern Conference final against Ak Bars, when his dramatic late double turned defeat into victory. The most dangerous predator of the post-season has now been quiet for four matches in a row, and Metallurg fans will be hoping he is ready to pounce once again. Can anyone stop Shipachyov and Gusev? Some pundits and fans have raised questions about Gusev’s work in defense, but the SKA forward continues to take points in every game and already has 4 assists in the bank. His partner, Vadim Shipachyov, has scored 3 (1+2) points in the series and his stats suggest he is even harder to stop: Wednesday’s assist meant he has taken points in each of the last seven matches and it was his 192nd in SKA colors, beating the previous record set by Maxim Sushinsky. 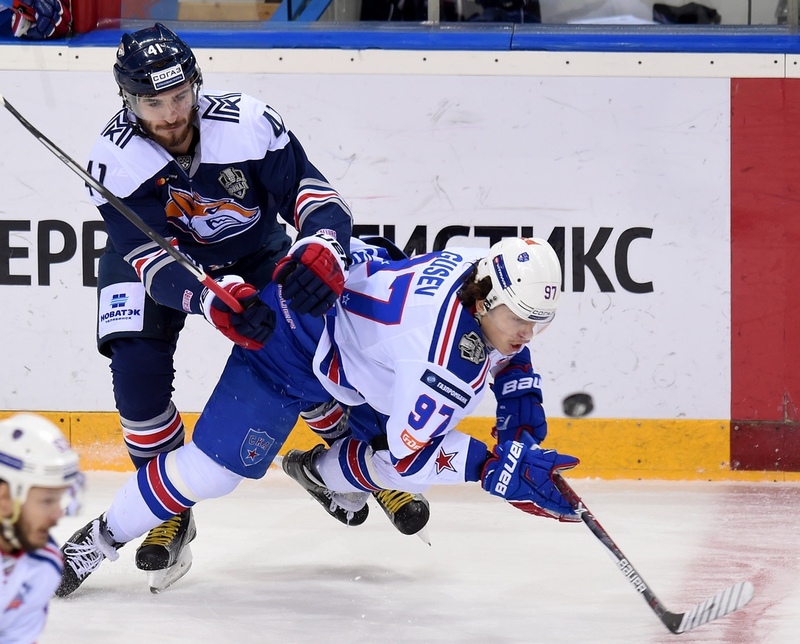 We mentioned in the Game 3 preview that Metallurg have only one player who had matched SKA’s deadly duo by scoring in Games 1 and 2 - the evergreen Chris Lee - and on Wednesday the Canadian defenseman duly provided the pass for Dmitry Kazionov. This was Lee’s 20th assist of the playoffs, matching the record haul by Sergei Mozyakin in the 2014 Gagarin Cup, and he has now notched points in five straight matches. Yakovlev: "Changing the goalie doesn’t affect us"
- What do the coaches say to players during such long matches? - Mentally, how tough was it to win this game? - Why was SKA misfiring on the powerplay tonight? - Was Zubarev’s goal inspired by the ones SKA allowed from Dynamo Moscow’s Kuteikin earlier in the playoffs? How hard was it to defend against the physical power of the Osala and Filippi lines? - What impact did switching the goaltenders have on the team? - You provided the pass for the decisive goal. Were you not tempted to shoot? 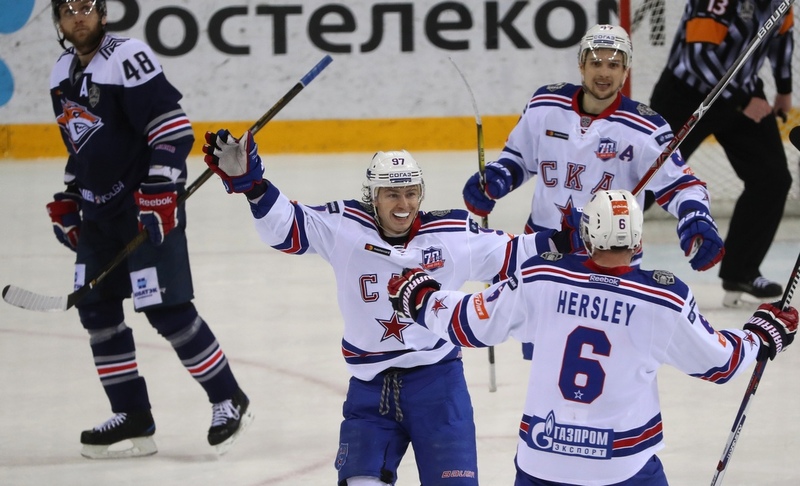 - For two games running, SKA has had trouble converting shots into goals. 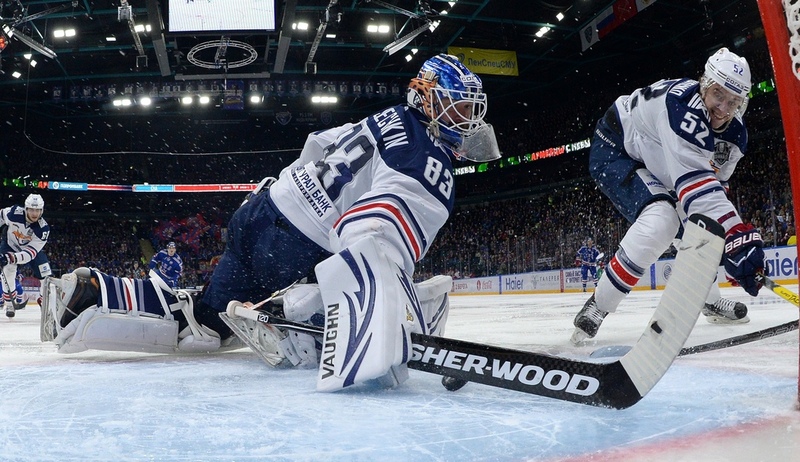 - This was the longest match in the history of the Gagarin Cup finals. Do you have enough energy left for Friday’s game? - Did anyone make fun of Zubarev? 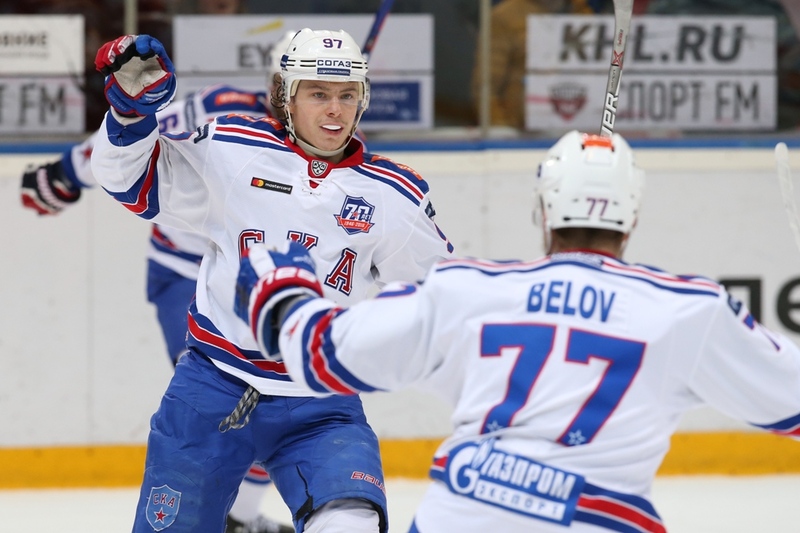 It was his first ever goal for SKA. 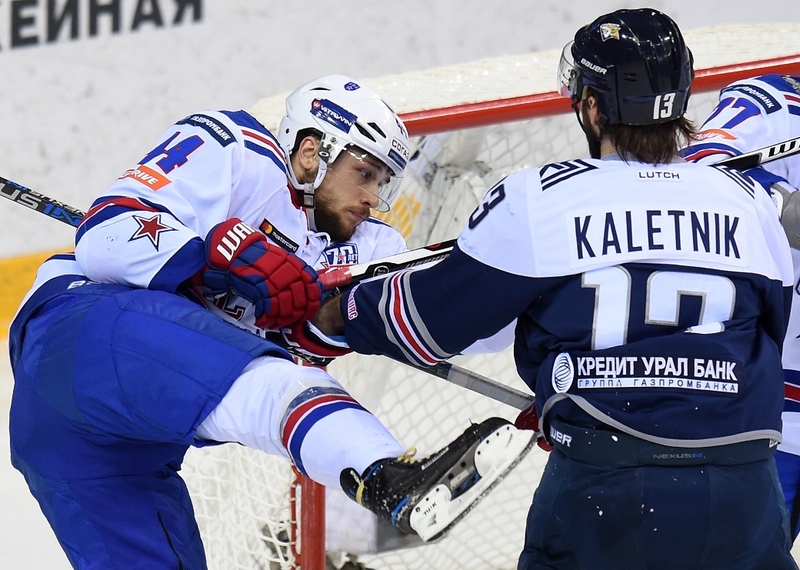 Game 4 of the Gagarin Cup final series between SKA and Metallurg Magnitogorsk takes place on Friday, the 14th of April, at the Saint Petersburg Ice Palace. The match begins at 19:30 (Moscow Time) and will be broadcast live on KHL TV, KHL TV HD and Match-TV.